This sought after Pacific Seacraft 31 is a perfect cruising yacht for a single hander, couple, or small family. The traditional interior features rich, hand-rubbed teak with light fiberglass accents. Ten large Hood opening port-lights and a deck hatch provide plenty of light and excellent ventilation. 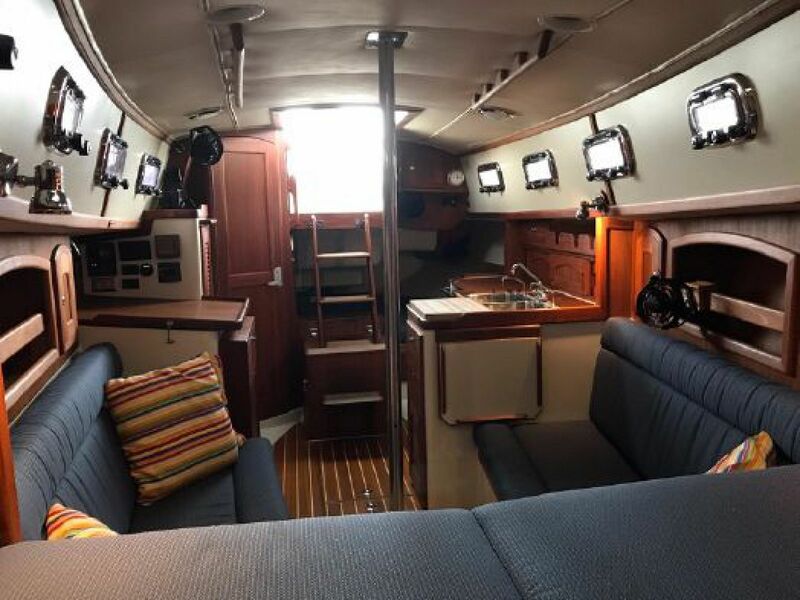 The ambiance of this traditional cruiser is pleasing; and, for her size, she is spacious due to the innovative open layout. Starting forward is a 6'6” long V-berth complete with shelves and cabinets on the sides and forward, and drawers underneath. This is a large double berth with cabinetry on each side and stowage outboard. Just aft of the double berth is the main salon with two settees which double as sea berths 7' in length when the footwell is used. You often don’t have seven foot berths even on a much larger vessel. And that foot well is a secure place to put many things including your laptop while underway. A large dining table slides out from beneath the V-berth to seat four comfortably. Because it disappears completely under the V-berth when not in use, the salon is open and spacious feeling with room to walk around. The grey-blue upholstery is in excellent condition, essentially new condition due to light usage and the slip covers. 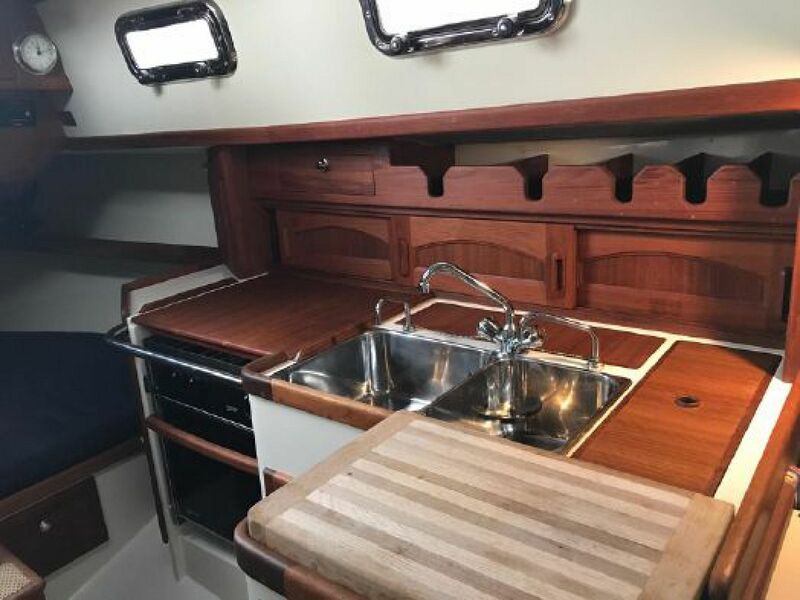 Further aft and to starboard is the nav station which features a large chart table cleverly built over the large refrigerator and freezer. It actually is larger than the refrigerator on many larger boats. The 12 volt refrigeration system works brilliantly. The chart table on top of the refrigerator has a small tilt-out drawer in addition to a large dedicated paper chart drawer. There is a gooseneck chart light that has a red as well as white light option over the chart table. 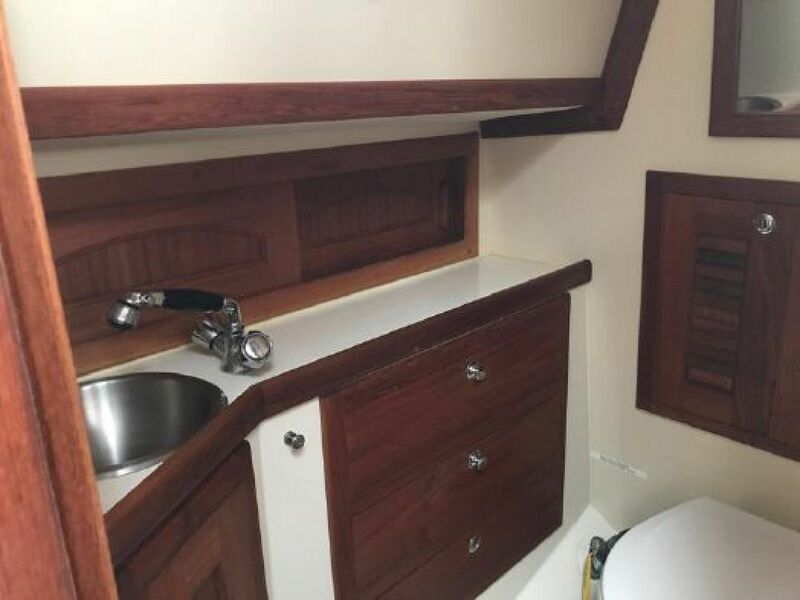 To port and aft of the galley is a huge double berth that provides accommodations for guests or incredible storage. You can use plastic bins and take all the ship’s stores you need for a winter deep in the Bahamas! 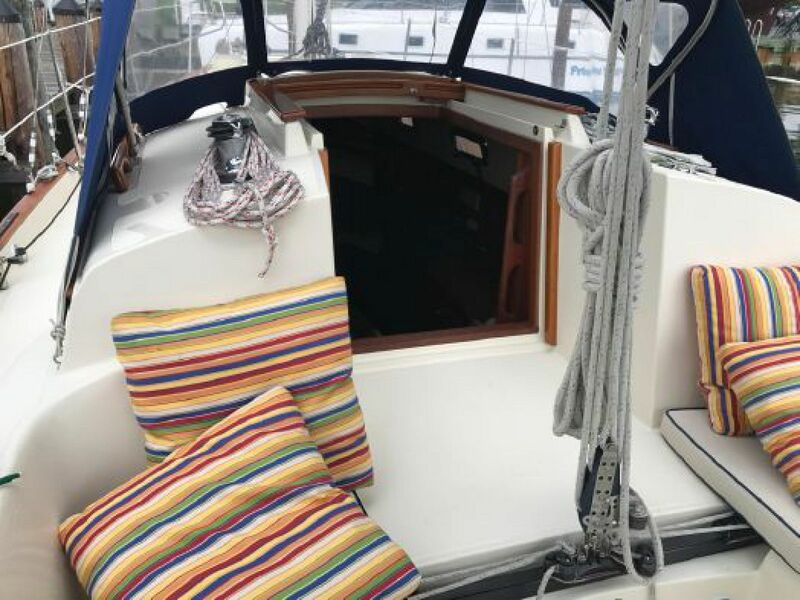 The enclosed head is conveniently located immediately to starboard of the companionway stairs for easy access to remove wet gear when going off watch. The head is equipped with a faucet shower, sump pump, and wet locker. 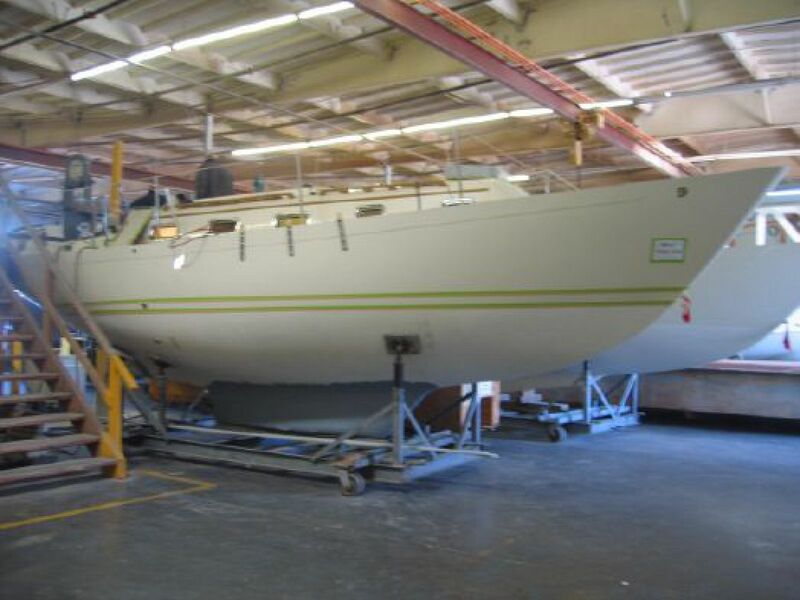 All available space has been ingeniously used for storage, which is impressive in capacity for a yacht of this size. She is comfortable for four for a week and can sleep six if you use all the berths. For a cruising couple she is completely comfortable and easy to handle. She is a very nice little cruiser that will not cost you an arm and leg to maintain! 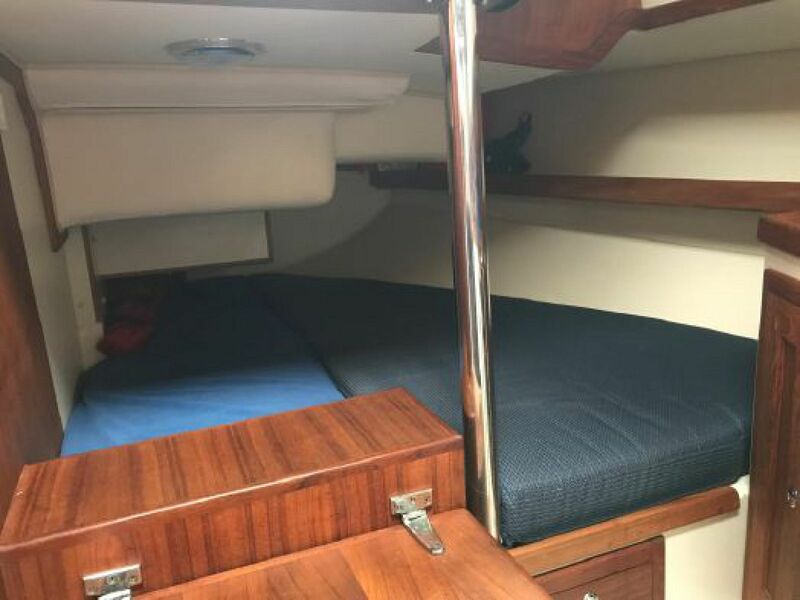 Forward: V-berth, wider than a queen bed at the top, more than adequate storage beneath, on the side rail and in the deep teak lockers. Head with ample storage and sink. Faucet pulls out to shower. Sump drains shower. Electrical system is designed for comfort while cruising the Chesapeake with 12volt refrigeration. 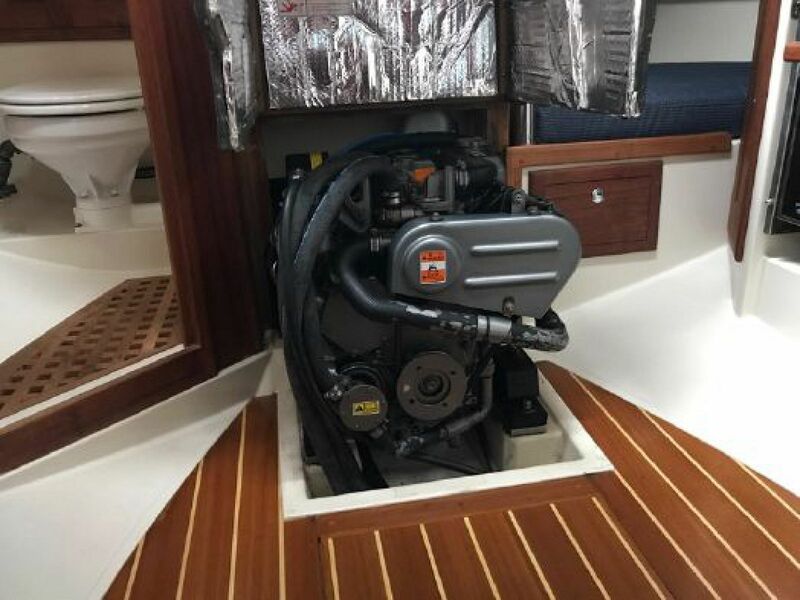 It is comprised of an upgraded 400 amp hour battery bank with brand new house batteries and is charged with an upgraded 80 amp alternator on the main engine. A Xantrex Freedom 15 inverter/charger provides shore power charging and inverting. 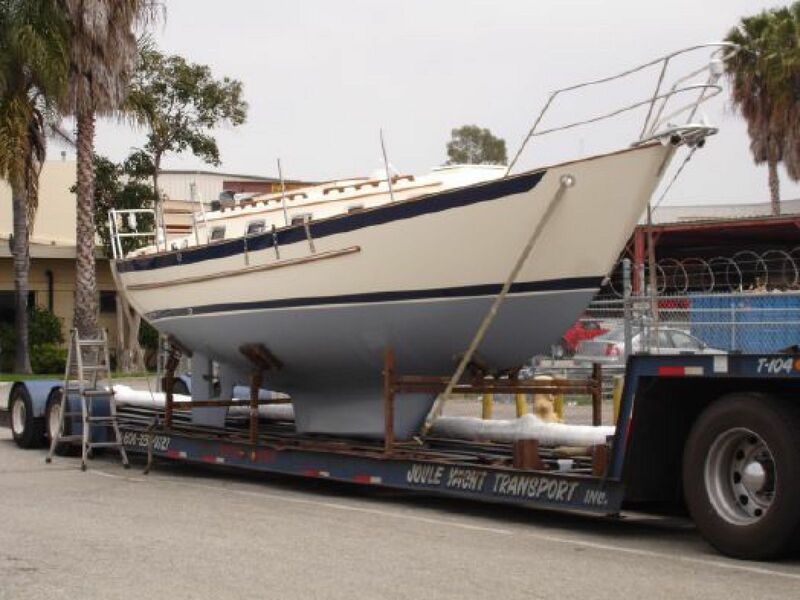 Being a 2006 Pacific Seacraft 31, this boat should not be confused with the old design of a 31 footer known as a Mariah. The new PSC 31 is a modern design inspired by the popularity of the PSC 37. They packed it all into 31 feet. The PSC 31 is a classic Bill Crealock design with a long cruising fin keel, skeg hung rudder, spoon bow, and vertical transom to increase the volume below. It is a very expensive boat for its size, and worth the money. There are no corners cut in this build quality, not to mention the extras these owners opted for. Of course, the hull solid fiberglass is hand laid with water resisting vinylester resin on the outermost layer. Isophthalic polyester resin is used on the inner layers of glass matt and roving. The ballast is lead which is used for all high-quality boats. The shoal draft version draws four feet. The keel is the patented Scheel keel designed to minimize leeway and improve tracking. It works well and the boat is idyllic in the Bahamas! The rudder has an internal steel plate inside with fiberglass to form the rudder. It is skeg mounted for strength and good protection. The deck is built of marine plywood sandwiched between fiberglass. The non-skid is molded into the deck on top. The deck is attached to the hull with 3M 5200 glued, literally glued, and then it is through-bolted with 1/4 inch stainless bolts every four inches. This is an impressive build for any sized boat and at 31 feet it produces a monolithic, super strong boat! Shoal draft lead Scheel keel, draws four feet! Flat stern creates a surprisingly spacious cockpit for a yacht this size, but everything is still within easy reach for a singlehander. Cockpit seat benches are seven feet long, long enough to lie down on. 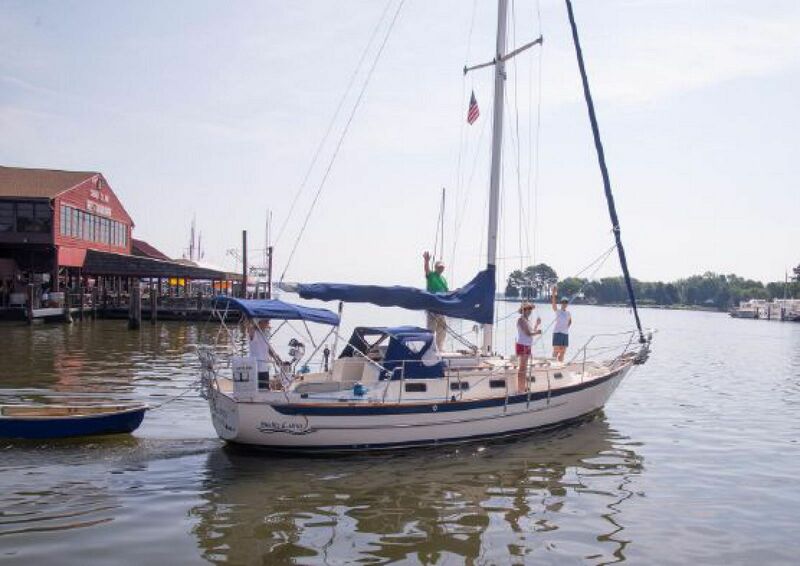 The Pacific Seacraft 31 is a joy under sail and perfect for a single hand sailor or a couple. The singlehanders package provides easy sail handling from the cockpit. The sloop rig has a Harken furler for the genoa headsail and the single line reefing system for the mainsail makes it easy to balance in all conditions. The Lazy Jacks system keeps the mainsail tidy when dropping or reefing the sail.